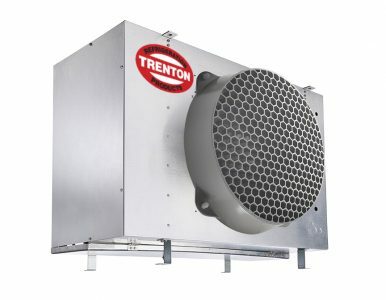 The half-round air defrost unit coolers are designed for walk-in cooler applications that require low velocity air evenly distributed in high humidity environments. 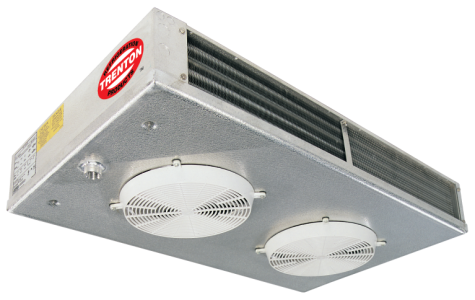 These evaporators are ideally suited for maximizing cooler space. Direct backwall location and minimum height provides maximum usable storage space. Textured heavy gauge aluminum cabinet – lightweight, doesn’t show scratches. Rigid, slotted channel hangers simplify installation. Hinged drain pan for ease of cleaning and service. 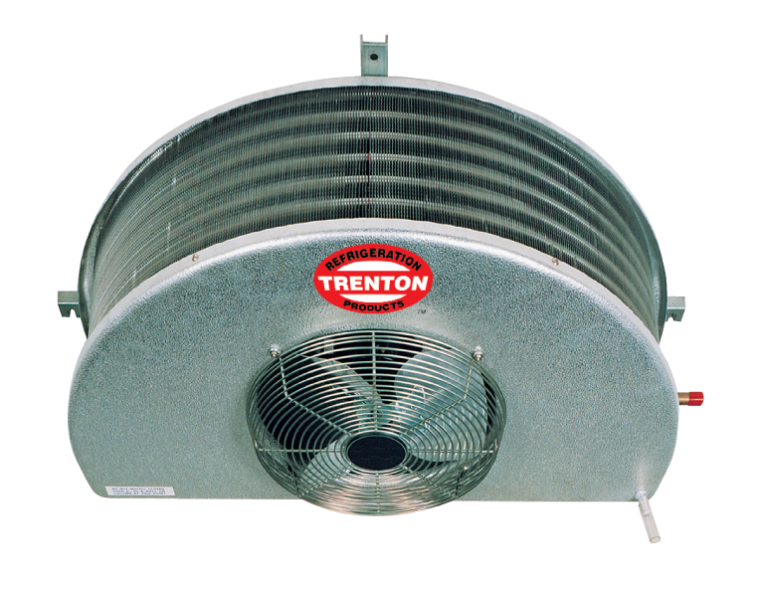 Full collar aluminum plate fins on expanded seamless copper tubes ensure optimum heat transfer efficiency.